Even DHA-free formulas can cause damage. Now that we&apos;ve tackled sun protection from head to toe, there&apos;s one more aspect of sun safety we need to talk about… self-tanner! Whenever I get a question like this, I have a short answer and a long answer. The short answer is that I&apos;d probably check out Vita Liberata, an Irish brand that is now widely believed to make the best tanning products on the market. But the long answer is that I DON&apos;T actually recommend self-tanner! 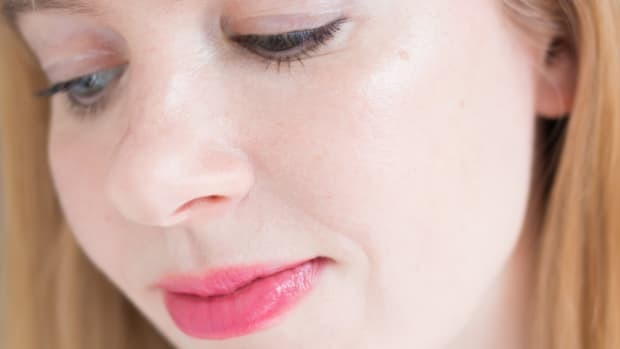 Keep reading for some important information about how a fake tan harms your skin, plus alternatives for a safer dose of colour. First, let&apos;s talk about what causes self-tanners (and spray tans) to produce the look of sun-kissed skin. The active ingredient in all tanning products is dihydroxyacetone. Also known as DHA, it is a simple carbohydrate that can be derived chemically or from natural sources such as beets and cane sugar. When you apply DHA, it reacts with the amino acids in your skin&apos;s top layer. This generates compounds called melanoidins, which appear brown because they absorb certain wavelengths of light. This process is known as the "Maillard reaction." It starts within two to four hours, and continues for up to 72 hours (with the tan fading as the dead cells are shed, usually within 10 days). These products give you a temporary tanned look, but also increase your free radical exposure. As you may have guessed, the problem with self-tanners is the DHA—which is why we&apos;re seeing the rise of so-called "DHA-free" formulas, but more on those in a sec. Oxidative stress: The reaction triggered by DHA generates free radicals (see this study). 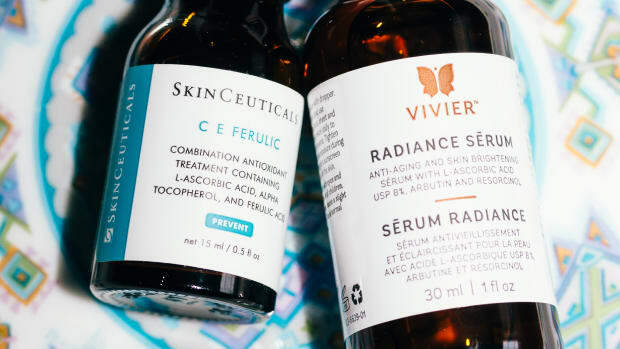 Free radicals are highly reactive chemical byproducts that attack cell structures and degrade collagen and elastin fibres. In other words, they&apos;re linked to premature aging, wrinkles and sagging skin! Accelerated sun damage: The oxidative stress gets even worse if you go out in the sun after applying DHA. This study found: "In DHA-treated skin, more than 180 percent additional radicals were generated during sun exposure with respect to untreated skin." DNA damage: DHA has also been found to induce DNA damage. 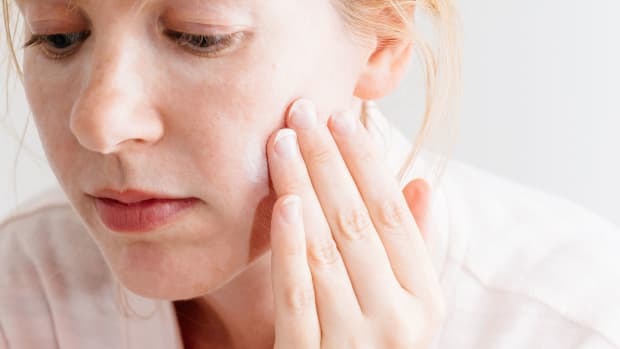 A scary quote from this study: "The genotoxic capacity of DHA raises a question about the long-term clinical consequences of treatment of the skin with this commonly used compound." Less vitamin D production: The use of DHA can inhibit the body&apos;s production of vitamin D (see this study). Contact dermatitis: Regular application of DHA can lead to irritation and inflammation, a.k.a. contact dermatitis (see this study). All of these concerns also apply to spray tans—which are actually even riskier than lotions. Regular inhalation of DHA can harm the respiratory system and even promote certain cancers. 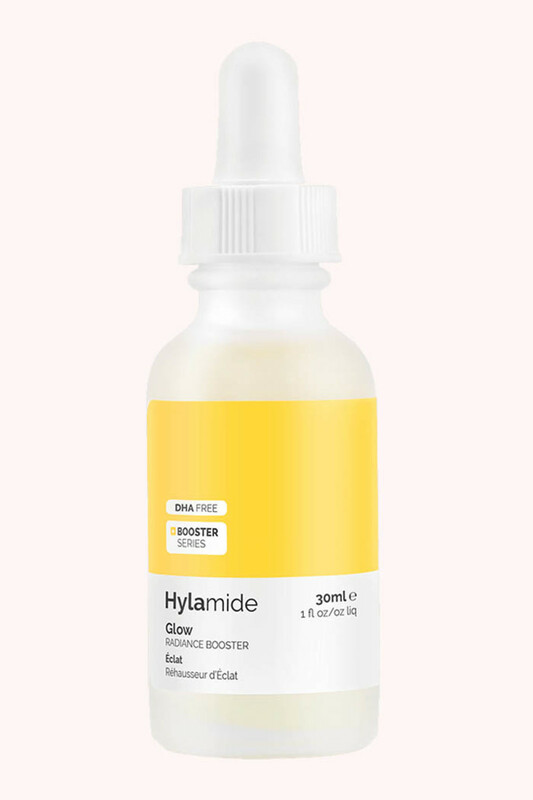 Ingredients: Water, Erythrulose, Glycerin, Ppg-26-Buteth-26, Propanediol, Acetyl Hexapeptide-1, Dextran, Ethoxydiglycol, Dimethyl Isosorbide, Oxidised Glutathione, Citrulline, Citrullus Lanatus (Watermelon) Fruit Extract, Polypodium Vulgare Rhizome Extract, Cetraria Islandica Thallus Extract, Sphagnum Magellanicum Extract, Lactobacillus/Eriodictyon Californicum Ferment Extract, Phytic Acid, Phospholipids, Acacia Senegal Gum, Xanthan Gum, Trisodium Ethylenediamine Disuccinate, Peg-40 Hydrogenated Castor Oil, Leuconostoc/Radish Root Ferment Filtrate, Potassium Sorbate, Sodium Benzoate, 1,2-Hexanediol, Caprylyl Glycol, Phenoxyethanol, Citric Acid, Linalool, Farnesol. 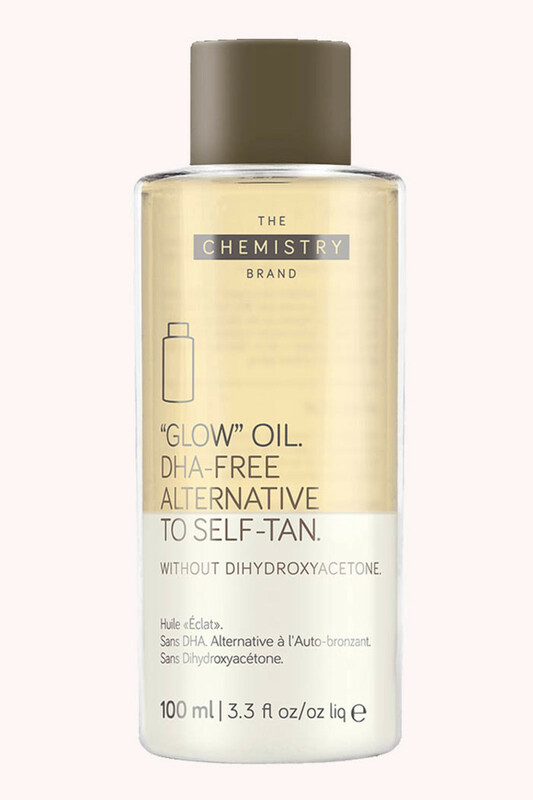 The Chemistry Brand Glow Oil. 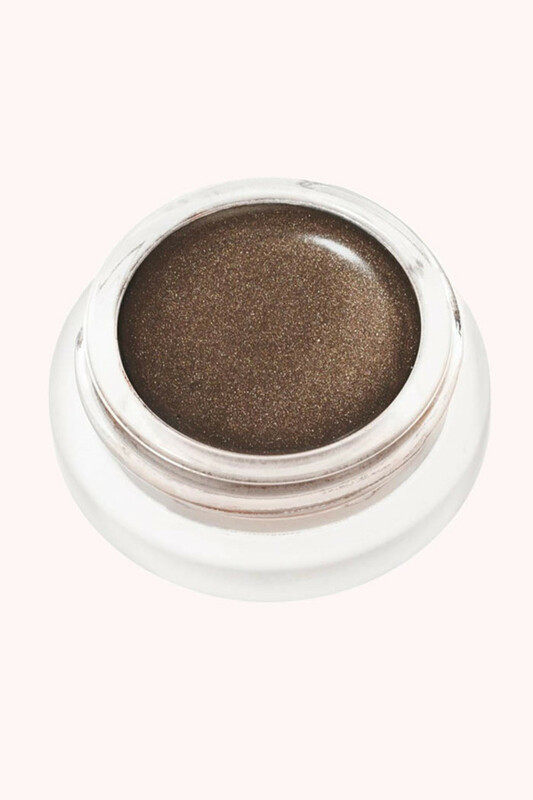 Ingredients: Propanediol, Aqua (Water), Erythrulose, Titanium Dioxide, Mica, Dimethyl Isosorbide, PPG-26-Buteth-26, PEG-40 Hydrogenated Castor Oil, Acetyl Hexapeptide-1, Superoxide Dismutase, Polypodium Vulgare Rhizome Extract, Cetraria Islandica Thallus Extract, Sphagnum Magellanicum Extract, Dextran, Glycerin, Citric Acid, Phytic Acid, Tin Oxide, Ethoxydiglycol, Caprylyl Glycol, 1,2-Hexanediol, Parfum (Fragrance), Citral, Citronellol, Limonene. Both contain a "purified keto-sugar that reacts with skin amino acids to produce a golden tone within 2-3 days without the sensory drawbacks and potential negative effects associated with DHA." Well, if you look closer at those ingredients lists, you&apos;ll see the active ingredient erythrulose. And guess what? It&apos;s essentially the same thing as DHA! This report explains: "Erythrulose is similar in composition to DHA. It is found naturally in red raspberries. Applied by itself, erythrulose takes longer to produce a tan, and the resulting tan fades quicker. The tan produced is also more red than brown in appearance. However, when combined with DHA, the tan reportedly lasts longer, fades better, and provides a more attractive tone. Erythrulose, however, has also been shown to increase production of free radicals similar to the effect seen with DHA." So there is no such thing as a safe self-tanner. Personally, I find the pro-aging effects of self-tanner way too disturbing to be comfortable using them anymore. So I think wash-off tinted body lotions and cream bronzers are a better way to fake a tan, without any DHA or erythrulose. Bonus: There&apos;s no icky self-tanner smell! St. Tropez One Night Only Wash Off Face and Body Lotion. St. Tropez One Night Only Wash Off Face and Body Lotion is a water-resistant lotion in two shades that can be used head to toe. Ingredients: Water, Cyclopentasiloxane, Hydrogenated Polyisobutene, Sodium Acrylate/Sodium Acryloyldimethyl Taurate Copolymer, PEG-60 Hydrogenated Castor Oil, Trimethylsiloxysilicate, Phenoxyethanol, Isohexadecane, Benzyl Alcohol, Polysorbate 80, Mica, Disodium EDTA, Fragrance, Butylphenyl Methylpropional, Benzyl Salicylate, Triethoxycaprylylsilane, Linalool, Hydroxyisohexyl 3-Cyclohexene, Carboxaldehyde, Geraniol, Citronellol, Hexyl Cinnamal, Cinnamyl Alcohol, Eugenol, Hydroxycitronellal, CI 77492 (Iron Oxide), CI 77499 (Iron Oxide), CI 77491 (Iron Oxide), CI 77891 (Titanium Dioxide). 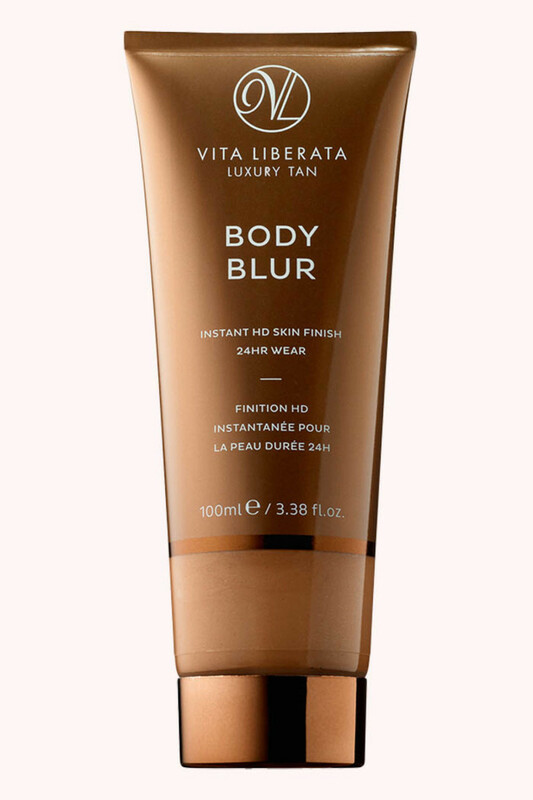 Vita Liberata Body Blur Instant HD Skin Finish. Vita Liberata Body Blur Instant HD Skin Finish can also be used on face and body and comes in three shades. Ingredients: Aloe Barbadensis (Aloe Vera) Leaf Water*, Glycerin*, Cyclopentasiloxane, Cetearyl Alcohol, Dimethicone, Cetyl Alcohol, Glyceryl Stearate, Phenyl Trimethicone, Isohexadecane, Panthenol, Disodium EDTA, Butyrospermum Parkii (Shea) Butter, (Beurre)*, Tocopheryl Acetate, Phenoxyethanol, Ethylhexylglycerine, Synthetic Fluorophlogopite, Tin Oxide, CI 77891 (Titanium Dioxide), CI 77491 (Iron Oxide), CI 77492 (Iron Oxide), CI 77499 (Iron Oxide). *Organic. 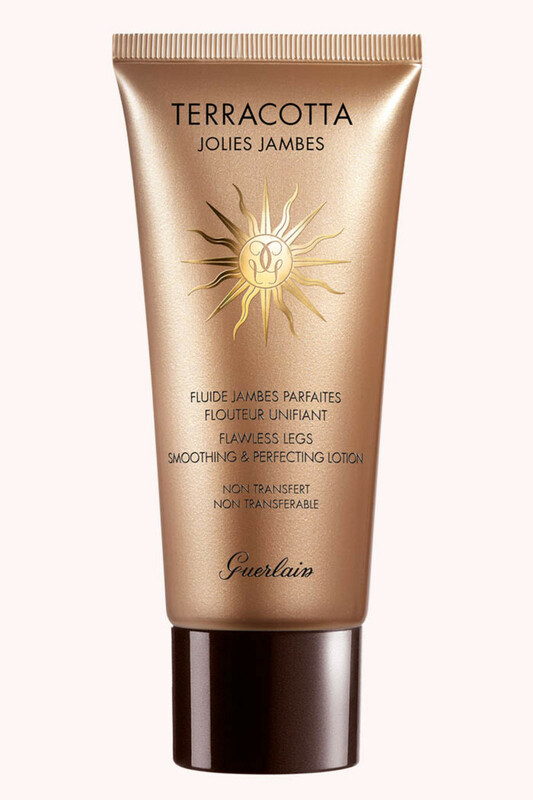 Guerlain Terracotta Jolies Jambes Flawless Legs Smoothing & Perfecting Lotion. Guerlain Terracotta Jolies Jambes Flawless Legs Smoothing & Perfecting Lotion is a transfer-proof lotion that comes in two shades. Ingredients: Aqua (Water), Glycerin, Alcohol, Silica, Butylene Glycol, Styrene/Acrylates/Ammonium Methacrylate Copolymer, Ammonium Acryloyldimethyltaurate/VP Copolymer, Phenoxyethanol, PPG-26-Buteth-26, Parfum (Fragrance), PEG-40 Hydrogenated Castor Oil, Sodium Laureth-12 Sulfate, Inositol, Alumina, Benzyl Salicylate, Linalool, Ammonium Hydroxide, BHT, Benzyl Benzoate, Tocopherol, (+/- CI 77891 (Titanium Dioxide), CI 77491, CI 77492, CI 77499 (Iron Oxides)). Sally Hansen Airbrush Legs Leg Makeup. Sally Hansen Airbrush Legs Leg Makeup is matte colour in five shades that can be used all-over. Ingredients: Isobutane, Cyclopentasiloxane, Water, PEG/PPG-18/18 Dimethicone, C18-36 Acid Triglyceride, Talc, Polyglyceryl-4 Oleate, Dipropylene Glycol, Panthenol, Tocopheryl Acetate, Magnesium Ascorbyl Phosphate, Propylene Glycol, Sodium Chloride, Silica Silylate, Dimethicone, Disteardimonium Hectorite, PEG-8 Propylene Glycol Cocoate, Dimethicone Crosspolymer, Salvia Officinalis (Sage) Leaf Extract, Salvia Officinalis (Sage) Oil, Propylene Carbonate, Phytonadione, Phenoxyethanol, Diazolidinyl Urea, Methylparaben, Ethylparaben, Propylparaben, Butylparaben, Isobutylparaben. MAY CONTAIN: Titanium Dioxide, Mica, Iron Oxides. Benefit Hoola Zero Tanlines Allover Body Bronzer. 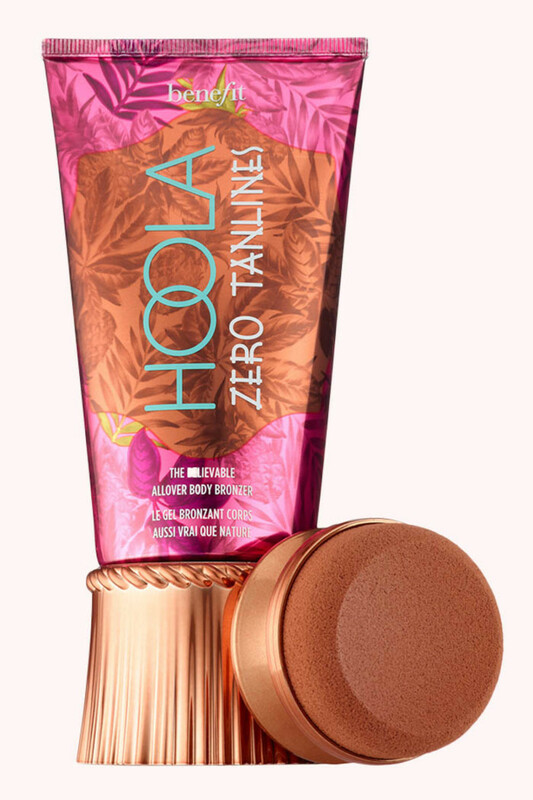 Benefit Hoola Zero Tanlines Allover Body Bronzer is a transfer-resistant tinted gel that lasts for 12 hours. Ingredients: Water, Glycerin, Alcohol, Pentylene Glycol, Ammonium Acryloyldimethyltaurate/Vp Copolymer, Phenoxyethanol, Polyacrylamide, Caramel, C13-14 Isoparaffin, Laureth-7, Fragrance, Limonene, Hydroxycitronellal, Bht, Tocopherol. [+/-: Ci 14700 (Red 4), Ci 19140 (Yellow 5, Yellow 5 Lake), Ci 42090 (Blue 1, Blue 1 Lake), Ci 77007 (Ultramarines), Ci 77163 (Bismuth Oxychloride), Ci 77491, Ci 77492, Ci 77499 (Iron Oxides), Ci 77891 (Titanium Dioxide)]. 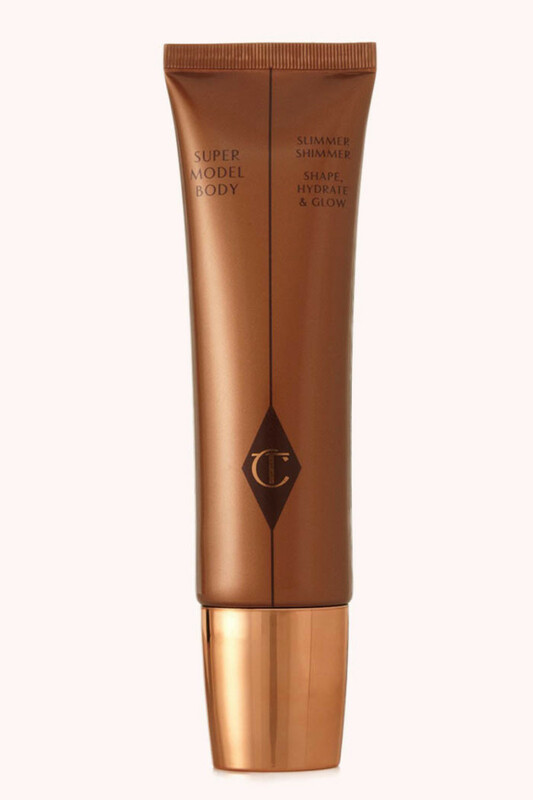 Charlotte Tilbury Supermodel Body is a shimmery roll-on lotion that would subtly contour pale skin. Soap & Glory The Righteous Butter Tinted Body Lotion. Soap & Glory The Righteous Butter Tinted Body Lotion comes in one shade for a long-wearing, streak-proof, natural-looking glow. RMS Beauty Contour Bronze is my favourite natural-looking bronzer for the face—see my application tips here! Ingredients: *Cocos Nucifera (Coconut) Oil, *Cera Alba (Beeswax) (Cire D’abeille), *Simmondsia Chinesis (Jojoba) Seed Oil, *Theobroma Cacao (Cocoa) Seed Butter, **Mauritia Flexuosa (Buriti) Fruit Oil, Tocopherol (Non-GMO), *Rosmarinus Officinalis (Rosemary) Extract May Contain [+/-]: Titanium Dioxide (CI 77891), Iron Oxide (CI 77491, CI 77492, CI 77499), Mica. *Certified Organic. **Wildcrafted. I hate to be the bearer of bad news, but self-tanners just aren&apos;t as safe as we&apos;ve been led to believe. The fact that this report identified them as one of the 10 fastest-growing industries gives you an idea as to why! Hopefully, you&apos;ll at least consider limiting their use and/or topping up your antioxidant protection when you do apply one. But if you&apos;re at all concerned about protecting your skin from premature aging, I think it&apos;s worth it to switch to a wash-off tint. There are so many great options now available, you can easily achieve a similar effect—with none of the scary skin damage. 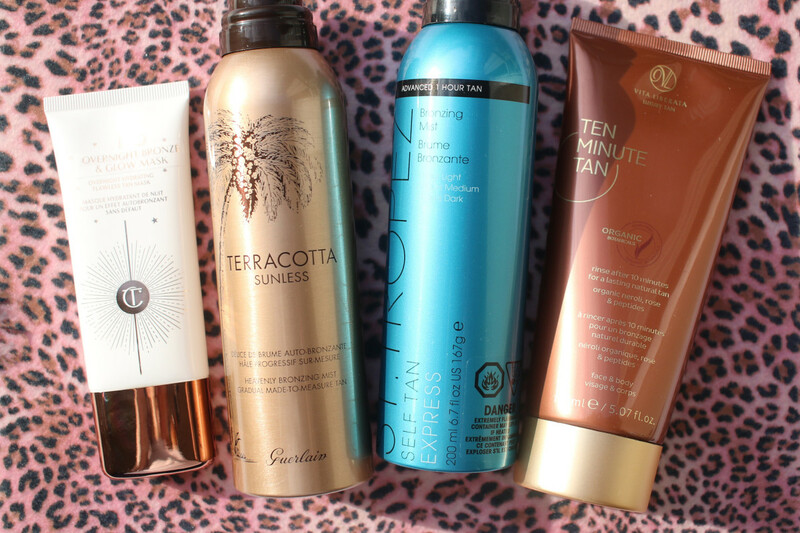 If you&apos;ve found any other bronzing alternatives, I&apos;d love to hear about them! Are you concerned about its aging effects? 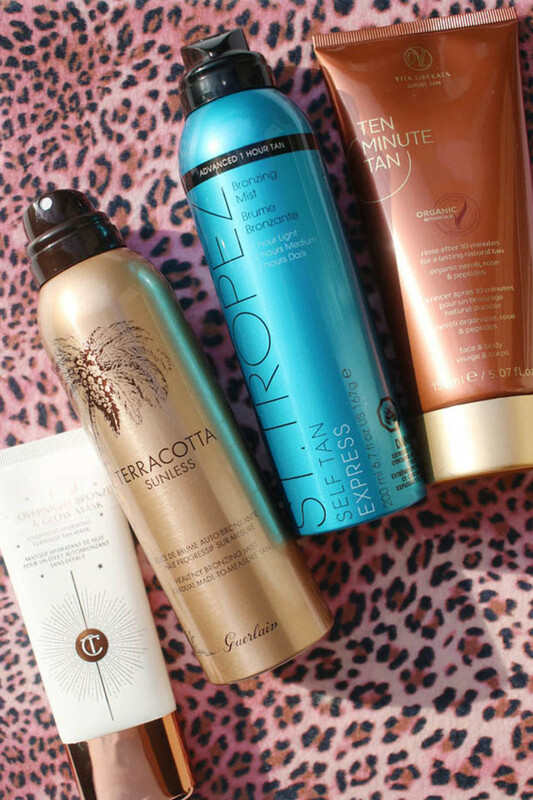 What are your favourite face and body bronzers? 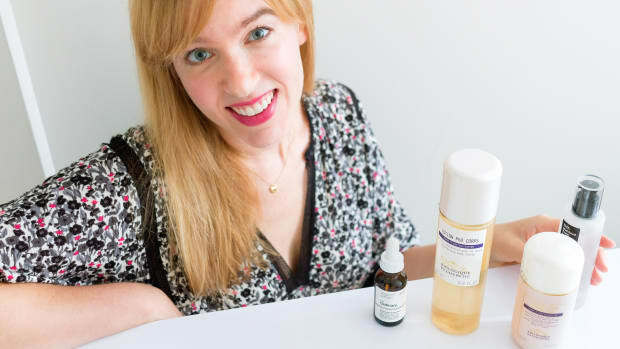 Serum staining your face and fingers? Here's what to know. 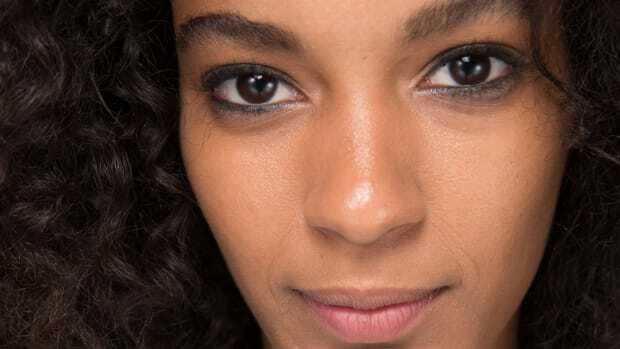 Address these underlying causes, and you'll probably need less moisturizer. 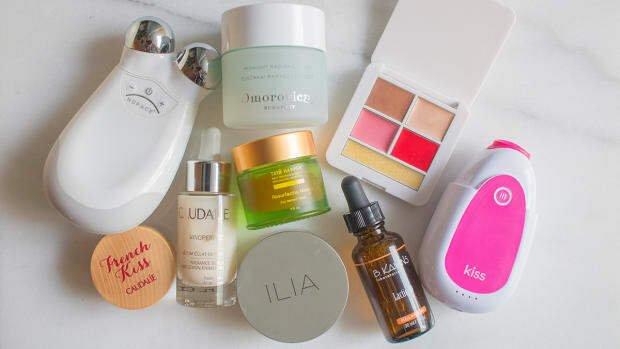 What I'm using to fade pigmentation, prevent breakouts and ward off aging. What's worth buying from the brand everyone's talking about. An acne-fighting, anti-aging regimen for cold weather. 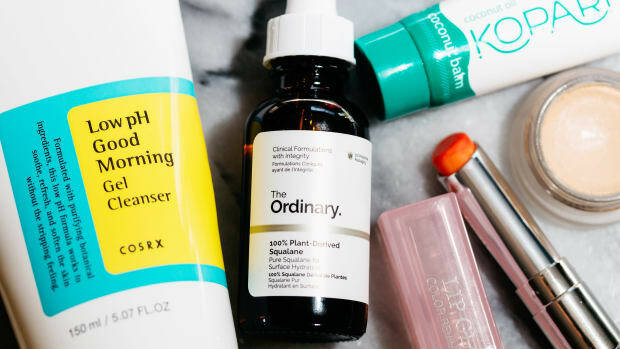 The right way to layer these skin-brightening ingredients.